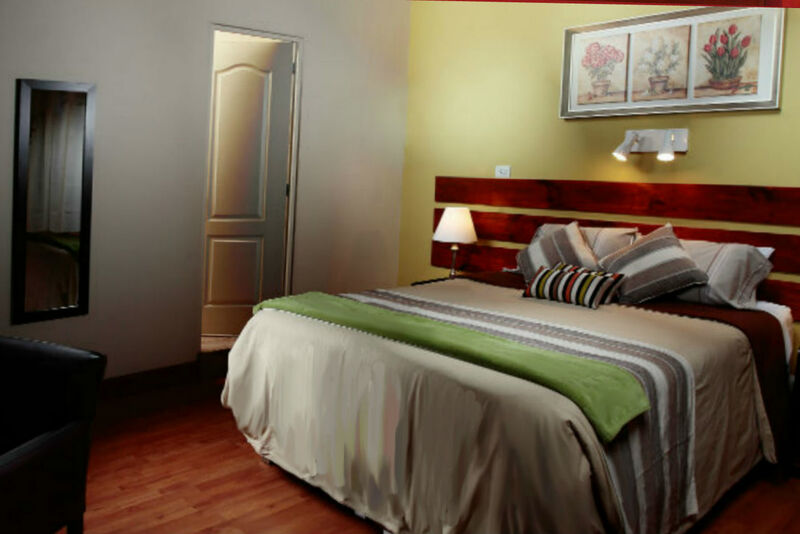 All our rooms are non - smoking and have comfortable beds, fluffy pillows and equiped functionally. All facing or with easy access to the central garden. Where you can enjoy the all year sunny weather of the city . Far from the traffic noise of the city. 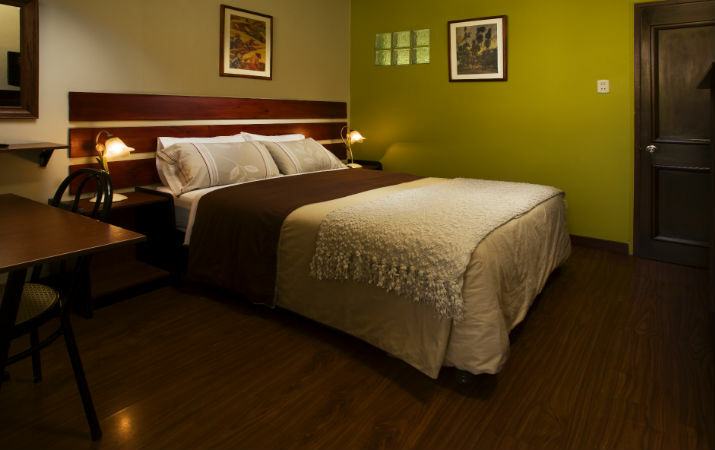 Ample bathrooms with strong hot shower. 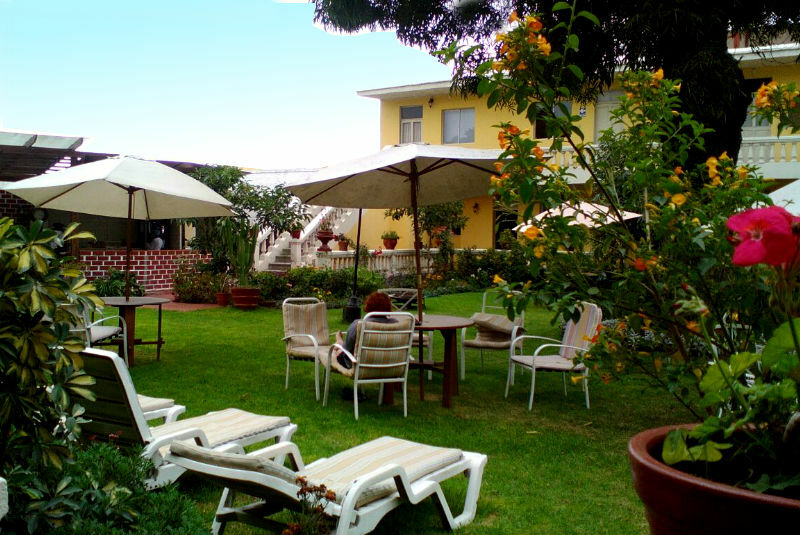 A balance of comfort and price with the privacy and service a great hotel provides. 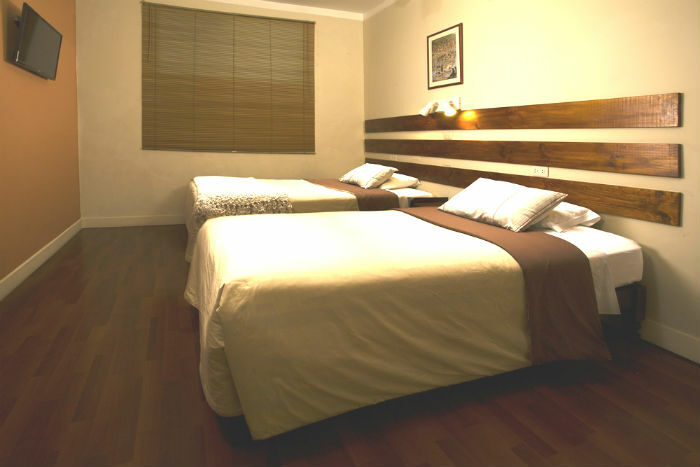 Ample double room with a great Queen size Bed (size 1.92 x 1.55 m.). 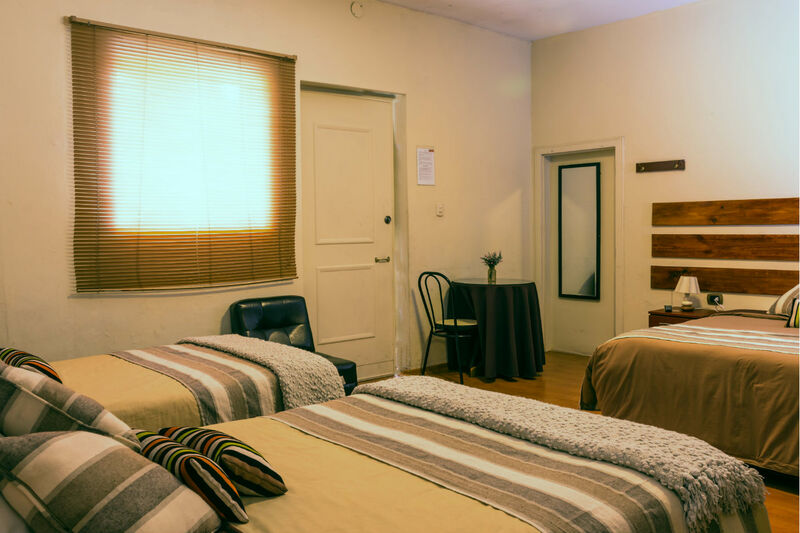 Rooms are 16 to 25 m2 size. Located on first and second room. Complete comfortable bathrooms. Electric Heater and Safe on request. Hair drier. Best WiFI in town, like broadband. Big Led TV. Buffet breafast included. Craddle for one baby on request. Additional bed on request. Best equiped and more ample room available. (25 m2) A great King Size bed (2 m x 2 m ). Only three available. Bathroom with hair drier. Safe box in room. Craddle for one baby on request. Electric heater. Second floor location. Bg windows with garden view. Most quiet area of the hotel. Breakfast, buffet included. Well equiped rooms located in the first floor. Rented for 1 or 2 persons. 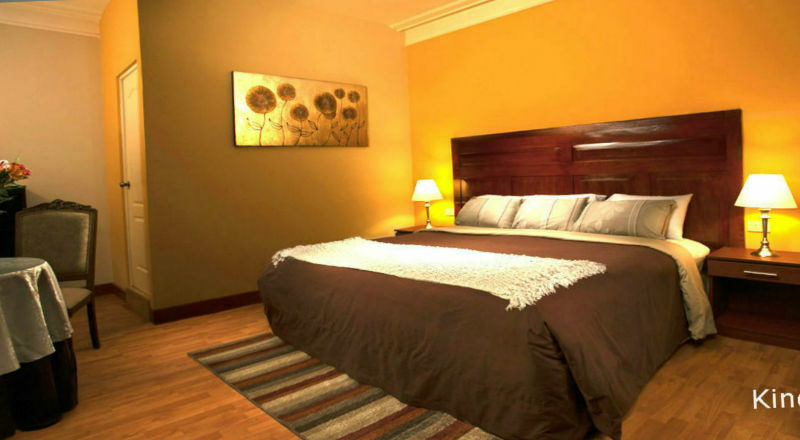 One Double Bed (1.93 m x 1.36m) and comfortable rooms (15 sm2 to 18 sm2) Complete and modern bathrooms. Big TV screens. Window to the garden. Breakfast included. A great price/quality balance. Ideal for couples and solo travellers. Big rooms for friends or family. Three beds, two double seat (1.90 m x 1.06m) and one double bed (1.90 m x 1.36m). Rented for three or four persons. Special additional price for family kids. Complete bathroom. Big screen tv. First and second floor. Breakfast included. Best price for a group. Book directly, with no intermediaries!